Conrad Hotels & Resorts is celebrating further expansion in India with the opening of Conrad Bengaluru. Soaring 24 storeys above Bengaluru’s Central Business District, the new luxurious hotel, which is owned by Prestige Group and managed by Hilton is located centrally, with excellent accessibility to prime business, technology, art and entertainment districts. 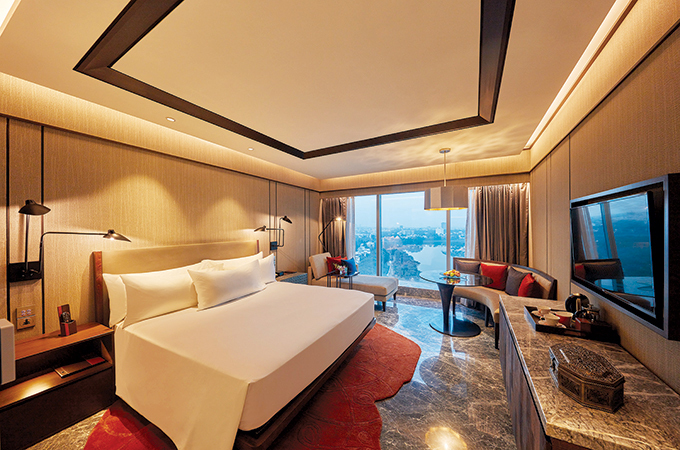 Featuring 285 luxurious guestrooms including 21 suites, Conrad Bengaluru offers five dining and bar experiences, a full-service spa and salon, abundant event space, a 24-hour fitness center and an outdoor temperature–controlled infinity pool overlooking the expanse of the city as well as a dedicated kids’ pool. “The impressive Conrad Bengaluru is an outstanding addition to our luxury portfolio in Asia Pacific and we are delighted to be partnering with the Prestige Group on this exciting project. The timely arrival of Conrad Bengaluru in India demonstrates Conrad Hotels & Resorts’ commitment to growing the brand's presence in the country, complementing its sister property Conrad Pune," said Daniel Welk, vice president of operations, luxury and lifestyle, Asia Pacific, Hilton. "This landmark property perfectly complements the vibrant city and will set the benchmark for luxury accommodation in Bengaluru." “We are delighted to establish Conrad Hotels & Resorts in this vibrant capital city of Karnataka. Conrad Bengaluru enhances our fast growing portfolio of 34 properties and underscores our commitment to delivering exceptional hotels in key gateway locations to meet the growing needs of global luxury travellers,” said John T. A. Vanderslice, global head, Conrad Hotels & Resorts.